IF MUSIC PRESENTS: YOU NEED THIS- WORLD JAZZ GROOVES. 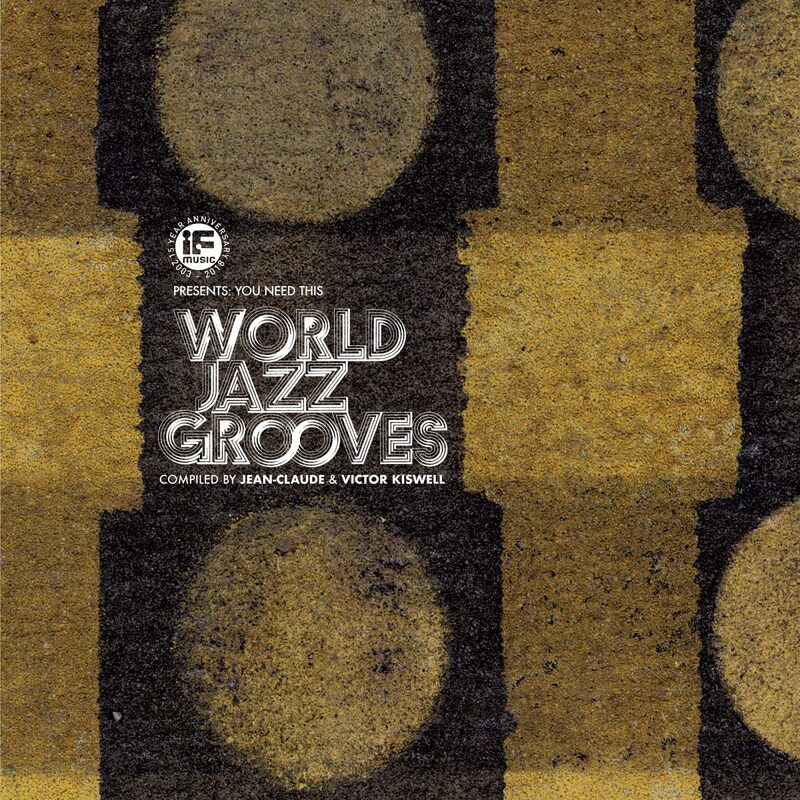 If Music Presents: You Need This-World Jazz Grooves. Release Date: ‘23rd’ November 2018. Recently, If Music supremo Jean-Claude has been on something of a roll, compiling a trio of critically acclaimed compilations for BBE. This included two volumes of A Journey into Deep Jazz and an introduction to Black Saint and Soul Note Records. Now Jean-Claude is about to release If Music Presents: You Need This–World Jazz Grooves on BBE on the ‘23rd’ November 2018, which he compiled with record dealer and specialist music expert Victor Kiswell. Together the pair have compiled the perfect compilation to celebrate fifteen years of IF Music. This is quite a feat considering how difficult the last fifteen years have been for small independent record labels. Still though, Jean-Claude continues to trade from his London record shop IF Music. During the last fifteen years, Jean-Claude has been many DJs and producer’s record dealer of choice. and the man they go to find the rarest of records. He can usually find all sorts of rarities, hidden gems and obscurities for DJs and producers. So can his fellow compiler and record dealer, Victor Kiswell. While many DJs and producers know Victor Kiswell as a globe-trotting crate digger record dealer, he’s also a specialist music expert and occasional star of television. Victor Kiswell appeared on the Cairo edition of Boiler Edition. That was a one-off, as intrepid explorer Victor Kiswell continued his search for black gold, vinyl. Just like Jean-Claude, all the time Victor Kiswell had spent crate-digging when they compiled If Music Presents: You Need This–World Jazz Grooves. It features tracks from Europe, the Americas, Africa and Asia, and includes several surprises during this lovingly curated eight track compilation of jazzy grooves. Opening If Music Presents: You Need This–World Jazz Grooves is Billy Bang’s Illustration a searing slice of social commentary from New York in 1978. It’s a truly powerful track rom the Watts Prophets influenced spoken word vocal which tragically, is just as relevant in 2018 as it was back in 1978. Michael Sardaby was born in 1935 in Martinique, and learnt to play the piano when he was five years old. Soon, he was a regular fixture in his father’s brasserie in the Fort-de-France. It was almost inevitable that Michael Sardaby forged a career as a musician and in 1972 released his sophomore albums In New York. It features the cinematic Martinica, which paints pictures of long summer nights in Martinique as it breezes along. In 1990, trumpeter, percussionist and vocalist Edouard Ignoln aka Kafé, released Santiman-Ka (Jili). One of the highlights of this genre-melting albums that fuses folk, funk, jazz and Latin is Fonetik a Velo, and is a welcome addition to IF Music Presents: You Need This–World Jazz Grooves. So is The Theo Loevendie Consort’s 1969 track Timbuktu from their album Mandela. This Dutch supergroup features some of the country’s top musicians. Another talented group were The Jazz Committee For Latin American Affairs who contribute Ismaa, while Armand Lemal’s Souffle (Part II) showcases the considerable talents of the French drummer and percussionist. Next stop on this musical journey is Japan which was home to the late Masabumi Kikuch who was one of the country’s greatest jazz musicians. A reminder of this is Pumu #1 from the 1978 album But Not For Me.. Closing If Music Presents: You Need This–World Jazz Grooves is IT Twenty Five by Joe Malinga and Southern African Force which is a reminder of how hard life could be for South Africans in 1989. It’s a powerful and poignant way to close this lovingly curated compilation. Jean-Claude has released three critically acclaimed albums on BBE, and that number will rise to four after the release of If Music Presents: You Need This–World Jazz Grooves. This eight track compilation was compiled with the help of Victor Kiswell and will be released by BBE on the ‘23rd’ November 2018. The two crate diggers and record dealers have found eight slices of oft-overlooked jazz, ranging from rarities and hidden gems to anomalies and obscurities that are part of If Music Presents: You Need This–World Jazz Grooves, which is a lovingly curated compilation that is the perfect way for IF Music to celebrate its fifteenth anniversary. If Music Presents: You Need This–World Jazz Grooves.